Bare ah! I mean, bear ah! And not only talk did Singapore did. The video caused so much stir that immediately a day after the video was circulated, every imaginable government agency was working on tracking the bear. The police had to cordon off the area due to safety concerns, the zoos and parks have to check through their premises for the 541235142th time to make sure that no bears had escaped from captivity and wildlife groups were brought in thanks to the video. But despite the high number of people participating in trying to ascertain where the bear came from and where it went, the entire bear incident was still shrouded in mystery. According to various experts that came together over the internet (mostly in forums and Facebook) to discuss about the bear incident, a few theories has been brought up regarding about the strange bear sighting. The first explanation, perhaps the weirdest one, was that the incident was of a supernatural nature. Some of the forum and Facebook experts think that the bear was in fact the famous mythical creature of Southeast Asia, called the Ialahberuang, or as the literal translation of English goes, Werebear. 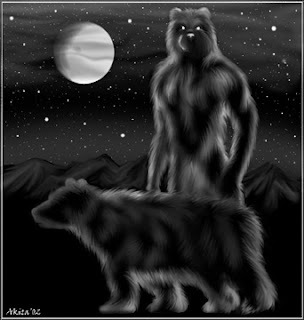 Similar to its Western cousin, the Werewolf, Ialahberuang is in fact a human who is under a terrible "bomoh" curse. Whenever there's a full moon visible, the person will undergo a painful transformation to become something as seen in the video. That would probably explain why the authorities effort to track down the bear has largely been unsuccessful because they have been mainly working in the morning, a period which the Ialahberuang would look really much like a normal human. Another explanation, which was nowhere better than the first one, is that the bear happens to be our very own Singaporean superhero that happens to be looking for some evidence at that time. Known to most as Bearman, he has a similar modus operandi as Batman, who only comes out at night to fight crime and to make sure Geylang chickens don't overcharge their customer. However, he has rarely been caught on video, which is why the person mistook him as a real bear when they saw him in the process of his crime fighting. But of course, the two reasons mentioned above were in fact failed attempts to explain why the bear managed to outsmart the police and wildlife forces in eluding detection. The third explanation offered by Philips Electronics Singapore was perhaps the best one. The bear, in fact, was really a human. 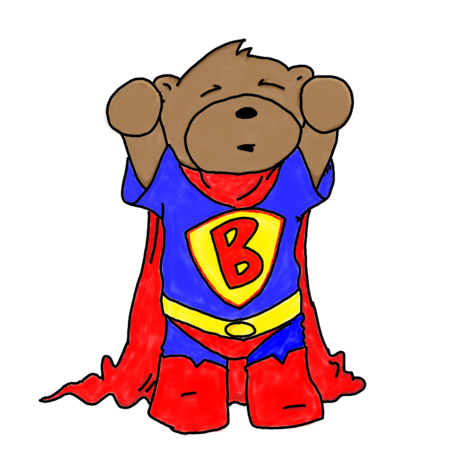 Not one that turns to a bear when there's a full moon or a crime fighting bear, but a human without costume. Those were hairs, not fur. It was a part of a marketing strategy by the company to promote the effectiveness of their new shaver. 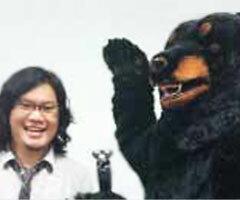 A volunteer was first kept in confinement for two months and given hair growth stimulant until he became something like the bear shown in the video. With lots of hair. 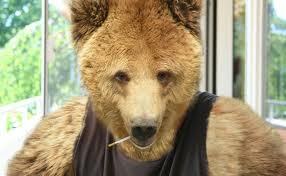 Which explained why the police and authorities failed at tracking the bear down. Because he has transformed into a handsome guy. Such an awesome shaver right? Okay, i'm lying. About the Jacob Black part, that is. The bear was in fact a publicity stunt for the new shaver of Philips Electronics Singapore but there was no two months confinement with hair stimulants. The bear was an employee from the media agency, The Secret Little Agency (the name already sparks much imagination), which was tasked to come up with a publicity campaign to promote the new shaver. What they did not expect was for the little publicity stunt to go so well that even the police and several wildlife personnel got involved. And i'm sure they will be laughing together for managing to pull off such a stunt that send waves over the internet, which undoubtedly will get rewarded by Philips handsomely because they achieved what they wanted to achieve, massive publicity for the product. Not forgetting that they managed to send to authorities on a wild goose chase too. Too bad the police was not very amused by their little joke. 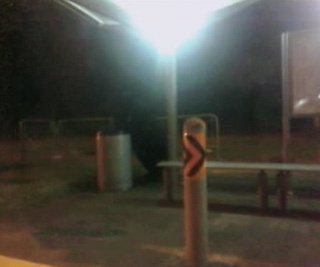 As reported by Channel News Asia, the police have decided to charge this bear people under the offense of public nuisance, mainly because they have wasted very much of the police resources in trying to track the bear.